In 1978, Charm developed a test that reduced dairy antibiotic testing from days to a matter of minutes. This helped reduce expensive and brand-damaging recalls and significantly improve dairy safety programs. Today, over 75% of the world’s raw milk (bovine, goat, sheep, camel) is tested with Charm test kits. Pressing issues facing the dairy industry have multiplied. Working as a partner with farmers and processors, Charm Sciences has kept pace with the global testing requirements of the industry to ensure that milk and dairy products are among the world’s safest foods; testing not only for contaminants, pasteurization and sterility levels in the milk, but for sanitation levels of processing equipment as well. In addition to testing kits, Charm developed equipment that provides solutions to the ever-changing landscape of today’s dairy industry including the movement from lab to field. Charm has designed smaller, portable, battery operated incubators/readers for use on a truck, in the field, wherever needed, that can not only give testing results on the fly, but can then send data results and graphs to your PC or printer. Charm ROSA (Rapid One Step Assay) lateral flow strips detect aflatoxin M1 and the most common antibiotics used to treat dairy cows. The tests are easy to perform and are manufactured to test for US safe levels, EU MRL/ CODEX/ Customs Union maximum residue limits and multiple other country-specific requirements. Charm ROSA tests have been granted approval by regulatory authorities around the world. The first choice of many test laboratories, the Charm II system is extremely versatile. 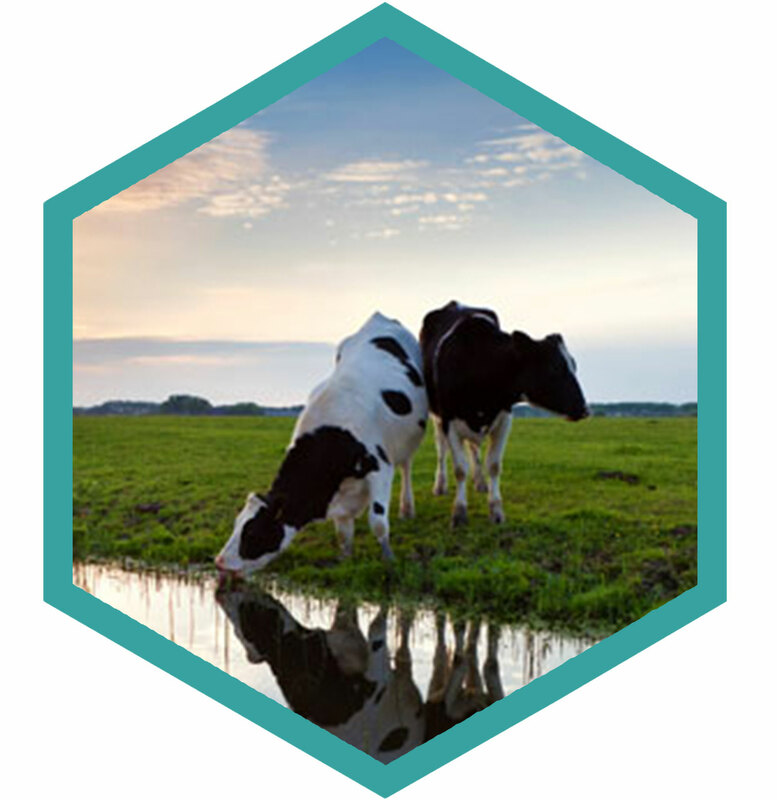 Charm II tests for dairy products include aminoglycosides, amphenicols, beta-lactams, macrolides, novobiocin, sulfonamides, tetracyclines, and aflatoxin M1. The Charm II amphenicols, beta-lactams, sulfonamides, and tetracyclines tests are US NCIMS approved and validated in laboratories worldwide. When screening for multiple antibiotics, Charm CowSide II, and Blue Yellow II broad-spectrum inhibition tests detect over 30 different drugs, are easy to perform and interpret, and are cost-effective. The Charm EPIC System measures the sterility of some dairy products. This microplate bioluminescence system measures microbial ATP to predict spoilage in shelf-stable, ultra high temperature (UHT), and extended shelf-life (ESL) beverage products. EPIC is used to verify shelf life in white milks, flavored milks, soy beverages, creams, yogurt-based drinks, lactose-free milk, ice cream and shake mixes, rice milk, condensed milk, and nutritional drinks. To quickly verify that HTST dairy products are fully pasteurized, the Charm F-AP and PASLite tests detect the widely-accepted chemical marker alkaline phosphatase. Both tests are US FDA approved and detect down to 20 milliunits per liter (mU/L) of phosphatase—well below the 350 mU/L (0.1% raw milk) level required by most governments. The FAP test takes less than a minute and is designed for milk, flavored milk and cream. The PASLite test, which is also ISO approved, takes three minutes and can be used for many dairy products, including milk, flavored milk, and solid/ semi-solid dairy. To objectively determine whether plant equipment, surfaces, and environmental areas are clean, Charm ATP hygiene tests accurately measure the “biological load” on a surface or in water in seconds. The bioload includes the total amount of ATP from bacteria, yeasts, molds, biofilms, and food residues. The Charm PocketSwab Plus is used to test dry surfaces; WaterGiene tests CIP, process waters, etc. ; and FieldSwab tests outdoor surfaces, like milk delivery trucks. The operator simply swabs the area, and inserts the sample into the reagent chamber. The swab is inserted into the novaLUM luminometer, which measures the amount of light given off by the ATP reaction. In five seconds, the operator knows whether the area is acceptable or in need of re-cleaning. AllerGiene swabs are approximately 500 times more sensitive than typical ATP hygiene systems, ensuring that cleaning to this level reduces the potential of allergen contamination to statistically insignificant. Use the Charm CideLite broad-spectrum pesticide test detects all organophosphate insecticides (or their active metabolites) and n-methylcarbamate insecticides in dairy products. Today, over 75% of the global raw milk supply is tested with Charm products. This includes bovine, goat, sheep, and camel milk.